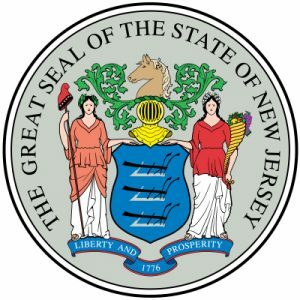 Lawmakers seek plans to inject $100 Million into NJ Horse Racing Industry! Once again, lawmakers in New Jersey show bipartisan support to boost the states horse racing industry. In fact, members from both sides of the aisle seek to inject $100 Million into the cause. However, this has drawn in some critics who are in opposition to the new proposed bill. At the same time, the state believes the support will drive the local economy in the right direction. So let’s explore the details here and weigh out the pros and cons. According to recent reports, lawmakers are seeking to use taxpayer subsidies to bail out the struggling horse racing industry. After all, NJ is a mecca for horse racing and has been since 1853. Therefore, helping out an industry that has played such a major roll in our economy for so many years is perhaps the right thing to do. Not to mention, the entire NJ gambling sector in the state has everyone talking, so what better time than now? Also, lawmakers plan to stretch the $100 Million plan out over the course of five years. As for the critics, well they believe this is a waste of taxpayer dollars. Their idea is to use the subsidies for road repairs, infrastructure, and other things deserving much attention. Yet, rejuvenating the horse racing industry during this time is a golden opportunity for the state. In brief, it’s understandable that New Jerseyans are feeling frustration at this time. Especially, during a government shutdown. Although this will pass, it’s only a matter of time. But now we must look to the future and fix what we already have. And this starts by first supporting an industry that already serves our local economy and community.